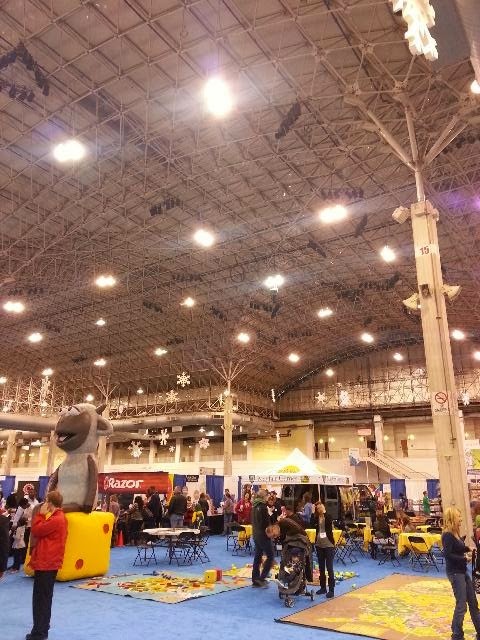 Foam From Above: ChiTag 2014 - aftermath! CHICAGO, Ill. (November 2013) – The third weekend in November marked the 11th annual Chicago Toy & Game Fair (ChiTAG), held at the historic Navy Pier and hosted by the Chicago Toy & Game Group. ChiTAG returned to Chicago, the leading city for toy and game invention in the U.S., to celebrate the power of play and creativity. The two-day extravaganza offered more than 20,000 attendees a multitude of interactive exhibits, engaging events, contests, tournaments, and more. ChiTAG kicked off with a blogger breakfast, hosted by Alison Ray of “Sassy Moms in the City” and sponsored by Mayfair Games, Razor USA and Spin Master. After fueling up for the fair, the bloggers and their families began the festivities with an impressive “bang!” courtesy of Goliath Games, who set off an oversized version of “Stick Storm,” its exploding art game that uses kinetic energy to detonate a domino-like display. The seventh annual Young Inventors Challenge participants exhibited more than 100 toy and game prototypes, conceptualized and invented by kids between the ages of six and 18, with top toy and game industry representatives serving as judges. PlayDate Planet attempted the Guinness World Record for the largest number of participants in a clapping game and is awaiting confirmation from Guinness. Star Wars fans dined with Chewbacca, the Storm Troopers and other costumed characters during the annual Star Wars luncheon, hosted by Hasbro and Top Trumps. Guests took part in game tournaments and had photos taken with members of Star Wars 501st Legion. Founded in 2003, ChiTAG returned as the global toy and game hub for consumers, inventors, trade, and media. In celebration of the power of play and creativity, the two-day extravaganza, taking place at Navy Pier, offered interactive exhibits, contests, live stage entertainment, tournaments, and more. For $10 per adult ticket and $5 per children’s ticket, attendees previewed, played, and purchased the hottest toys and games, rediscovered classics, and met the inventors behind the ingenuity. For more information, visit www.ChiTAGFair.com. The Chicago Toy & Game Group, Inc. is a family of toy industry initiatives designed to encourage and promote the power of play and invention in social, educational, and professional environments. 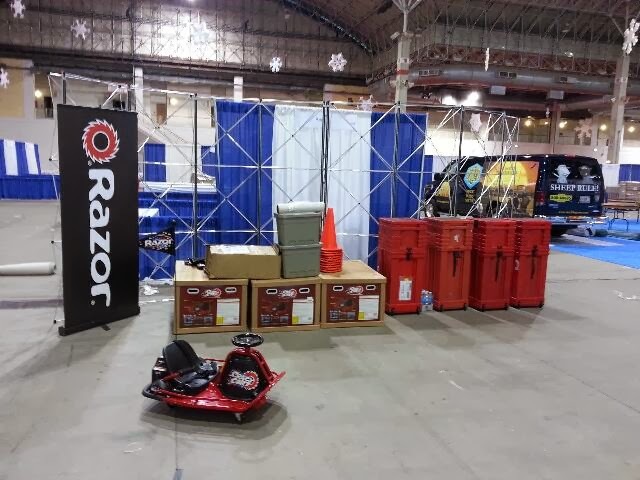 The Chicago Toy & Game Group consists of the Chicago Toy & Game Fair, International Toy & Game Inventor and Industry Conference, International Summit for Professional Inventors, Toy & Game Inventor Awards, playCHIC Fashion Show Event, Games for Educators, and Discover Games. For more information, visit www.ChiTAG.com, become a fan on Facebook or follow the fun on Twitter @ChicagoToyNGame and @ChitagFair.